Isadore Boudin arrived in San Francisco in 1849 and opened a bakery where he began baking his now famous sourdough bread. It soon became a staple of the Gold Rush Miners. Today it is considered a must when eating crabs, clam chowder, or oyster stew. 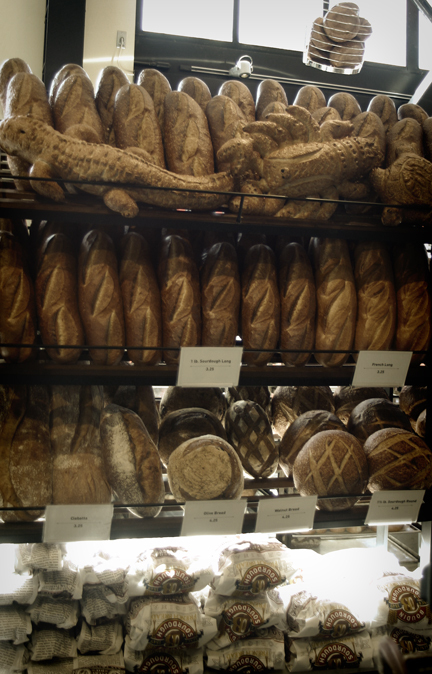 Boudin's sourdough has a distinctive flavor from that produced anywhere else in the world. Some claim the difference comes from the unique spores and fungi in the San Francisco air others attribute it to the local fog. Whatever the reason the white, crusty and slightly bitter loaves have become a part of the flavor of San Francisco.